Leann Sweeney is an American author of cozy mystery novels. She writes the Yellow Rose Mysteries and Cats in Trouble Mysteries. Leann grew up in Niagara Falls, New York and was educated at St. Joseph’s Hospital and Lemoyne College in Syracuse, New York. She also got her degree in behavioral science from the University of Houston. After working in psychiatry and as a school nurse, she turned to fiction full-time. 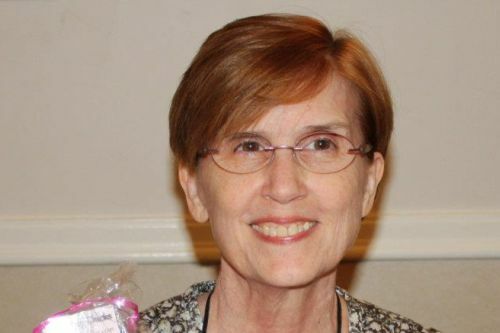 She started out taking classes in 1980 and joined the Mystery Writers of America and Sisters of Crime. Leann is married with two adult children and grandchildren. Leann Sweeney Synopsis: Dying Embers is a 10-page short story by Leann Sweeney available in eBook format. The story is about a 12 year-old girl named Amanda who lives in a house with an alcoholic mother and abusive father. Her younger siblings both are excited about Christmas, but that day might not be all it’s cracked up to be for their family. Amanda, however, has lost all hope… but will the magic of the Christmas season come through and make the season special for her?